Dongguan Tuancheng Automation Equipment Co., Ltd.
Based on the quality of life and the people-centered faith, and constantly improve the management. Coupled with the integrity, pragmatic, innovation and the spirit of striving for perfection, annals is world each generator to create a smart heart. 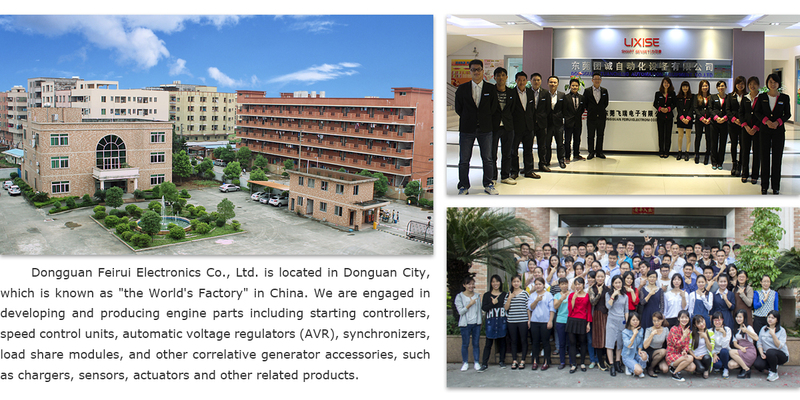 Dongguan Tuancheng Automation Equipment Co., Ltd. is located in Dongguan, the world manufacturing city, which is a professional R&D, production of generator control system. Our company mainly produces generator automatic voltage regulator, engine governor, to start the protection controller, ATS controller and unit synchronization equipment such as generators supporting intelligent products. In 2010 our company received ISO9001 quality system certification. Through the implementation of scientific style and the fine refinement management, we have established a sound R&D, production, sales and service of the circulation system. Beginning in 2009 the introduction of the United States of America NI simulation and automated test equipment, with the world's leading R&D team, and a number of national patents, we are in pursuit of the perfect production management, automatic testing and aging equipment, the maximum guaranteeing the quality of each product. Based on the quality of life and the people-centered faith, we constantly improve the management.